Mt. Kanlaon, one of the most beautiful volcanoes in the Philippines and a dream outdoor destination of mine, can be found in Negros Island. If coming from Manila, the most common entry point is via Bacolod City in the province of Negros Occidental where Bacolod-Silay International Airport is. Unfortunately, the past two attempts to get to the summit were spoiled by either bad weather or a personal event. The sunny side of these unsuccessful attempts is that it has given me the time to scour the city and eventually fall in love with it. Whether you’re craving for a time alone or organizing a trip for the entire fambam, Bacolod will not make you sweat blood or leave you penniless and toiling soil for the rest of your life. 3. Structures –this city showcases a mix of old and modern establishments, all accessible via public transportation. For a glimpse of Bacolod’s past, visit Negros Museum along Gatuslao Street (I heard the museum café also serves good food! :P). 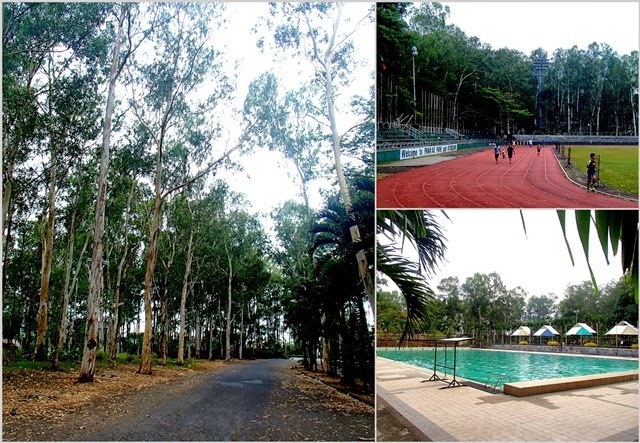 Within the area is the provincial capitol and the lagoon which is an excellent walking or running area. 750 meters away is the San Sebastian Cathedral built in 1876. 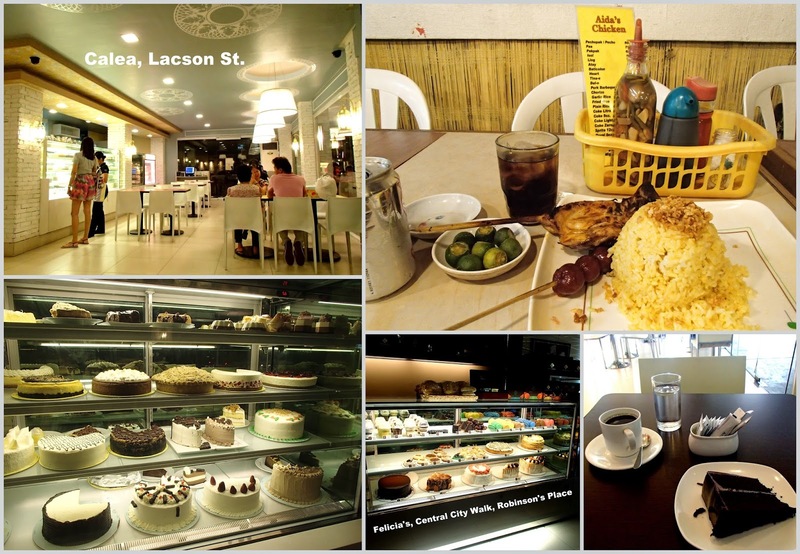 For street art, coffee or cold beer, hang-out at the Art District located along Lacson Street. Note that most of the bars open at 5:00 PM onwards. If you’re a sports enthusiast, you can take an Alijis-bound jeep from downtown to Pana-ad Park & Stadium. They also have a track area and pool open to the public from 7am-5pm (entrance fee at 40 Pesos, swim suit and cap required)/ It’s roughly 30 minutes when taking public transpo as the driver takes numerous stops. Outside Masskara Festival, you can allot two full days when visiting the spots mentioned above. For updates on new developments and tourist spots around the city, hit the Like button of SkyscraperCityBacolod on Facebook. 4. MassKara Festival – Festival enthusiasts flock the city held every October with a bulk of the celebration on the 3rd week closest to the city’s Charter anniversary – October 19. Its main highlight is the street dance competition along Lacson street where you can witness dancers in flamboyant costumes and masks. 5. Cheap Accommodation – there’s a slew of decent places to sleep in, majority of which are along Lacson Street. Among those I found that offers great deals that’s located along/near Lacson street, have decent wifi connection and aircon rooms are a. K’MAS (a few blocks away from Art District) I stayed here for a night. Rates start at 500 Pesos for airconditioned rooms with cable tv and wifi at the front desk. (It’s a little outdated but bearable). B. Go Hotels (a fave!) located at the back of Robinson’s Place and Central City Walk. Book early through their website to get standard rooms as low as 700 Pesos a night. Also in a convenient location is L’ Fisher Ecotel (starts at 989 Pesos). L’ Fisher Hotel which is right beside it is also popular for business travelers but it costs 3,500-above Pesos a night. TripAdvisor offers excellent reviews which can help you decide where to stay. “Lugar lang” - when going down from the jeep; “Manaog sa –insert destination- (used to answer the driver when asked where you’re going); unsa - what, asa / dis-a / aha - where; gi-unsa – how; pila – how much? From Bacolod, you can also visit nearby provinces such as Iloilo (via ferry) and Negros Oriental (via bus, this is where Dumaguete is).